I read last night a really thought provoking article in Time about the educational system in Finland. The article calls Finland’s system in the title “anti-Tiger” playing off the subject of yesterday’s blog post. In a recent study, Finland was second in science literacy, second in reading and third in math, putting them in the same league as educational giants such as South Korea and Singapore. The educational systems of South Korea and Singapore don’t sell well with Americans because they require too much work. Long days, long homework… understandably, not every parent wants to sign their kids up for that struggle. In Finland, the school day is actually shorter than it is here. So what are they doing? First, let’s make sure we realize that we may be retrofitting an answer to a question to which no one knows the answer. This Time article seems, however, to have the answer. Teachers. Here is the metaphor that roped me in: “You don’t buy a dog and bark for it. In the U.S., they treat teachers like pizza delivery boys and then do efficiency studies on how well they deliver the pizza.”That logic makes a disturbing amount of sense. There is one caveat. 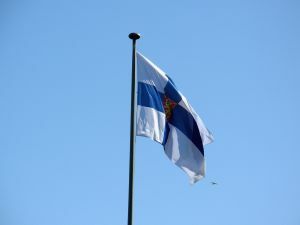 Finland, largely to their credit, is a very egalitarian society. Their test scores underscore this: high average and less outliers at the extremes. But who do you know that really uses math in their jobs? Advanced math is used by less than 20% of working adults (source: something I think I read once). Should we work harder on those 20% and let the rest of us do what we do? Does Finland work hard enough on those 20%? I’m raising the questions. I don’t know the answers but we should be talking about them.